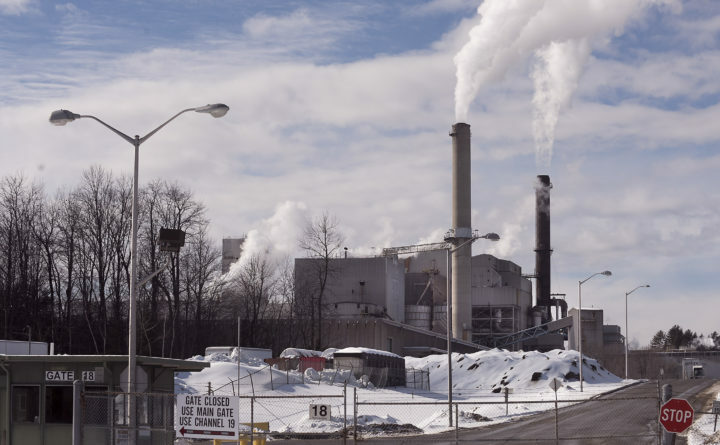 Sappi millwrights agreed to a three-year contract on Jan. 31, 2019, that increases their wages and certain benefits. After rejecting an earlier offer last week, millworkers at the Sappi mill in Skowhegan voted overwhelmingly Thursday evening to ratify a new three-year contract. In the new contract, members of the 74-member Machinists Local 2740 won a wage increase of 3 percent the first year, 2.25 percent in the second year and 2.5 percent in the third year. They also will get improved dental, accident and safety insurances, and an additional contribution to their pension. The union also beat back provisions the company sought that would have weakened the grievance procedure for the overtime list. After last week’s stalemate, which also included a vote to strike, the union went back to the bargaining table with Sappi and won the improvements. Correction: An earlier version of this story incorrectly stated the percent increase for wages in the third year.